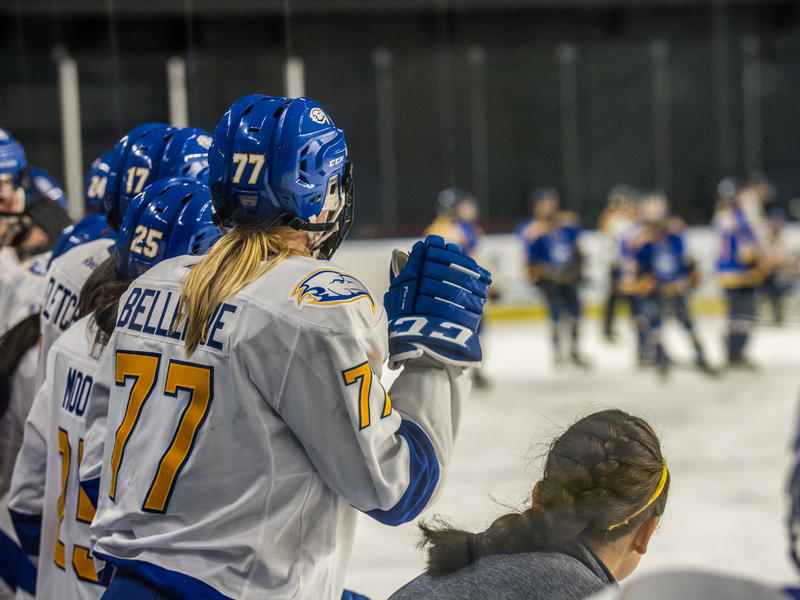 On their return home this weekend after two road trips, UBC women’s hockey hosted the Lethbridge Pronghorns at Doug Mitchell Thunderbird Sports Centre, hoping to follow up on the success they found against the team last season — they defeated the Pronghorns on four separate occasions in 2016/17. The Thunderbirds did just that, sweeping the weekend series with two wins on home ice. The Pronghorns’ woes started Friday night, as UBC outplayed them throughout game, ultimately defeating the visitors 2-1. Right out of the gate, it was clear that UBC intended to dominate play. They were quick and aggressive across the rink, generating plenty of scoring opportunities in the first period. The Pronghorns didn’t look comfortable against the ’Birds strong fore-check, which pinned them in their own end for much of the first frame. UBC’s first goal would come off the stick of veteran forward Logan Boyd, capping off back-to-back power-plays late in the first. A floating wrist-shot from the top of the circle found its way through traffic and past Lethbridge goaltender Alicia Anderson, lighting the lamp for the home side. Though the ’Birds opened the scoring with the man-advantage, their power-play was otherwise quiet, going 1 for 5 on the night. UBC carried momentum through the majority of the first period, but the lead they generated was quickly erased just before the intermission. 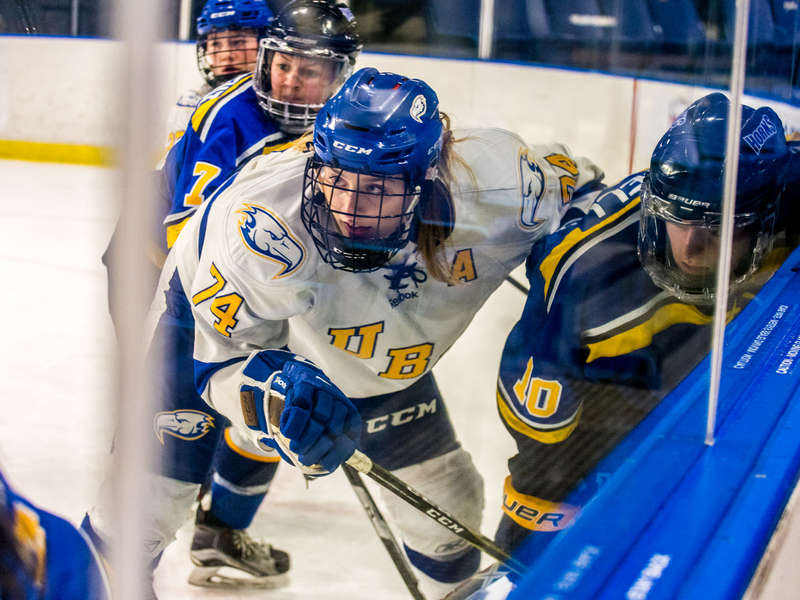 While cycling the puck on another ’Birds power-play opportunity, a lazy, behind-the-back pass at the point was intercepted by pressuring Pronghorns penalty killer Delaney Duchek, who took the puck end-to-end and flipped it over the glove of UBC’s Tory Micklash to tie the game. Into the second period, there was ample opportunity for the ’Birds frustration. After a dominant opening 20, they had lost their lead on a mistake and found themselves unable to break the tie. However, they continued to pressure the Pronghorns and pepper the oppositions’ net with shots. Lethbridge goaltender Anderson’s stellar play kept the visitors in the game – she would turn aside 39 shots on the night. Eventually, the ’Birds would be rewarded for their persistent work. 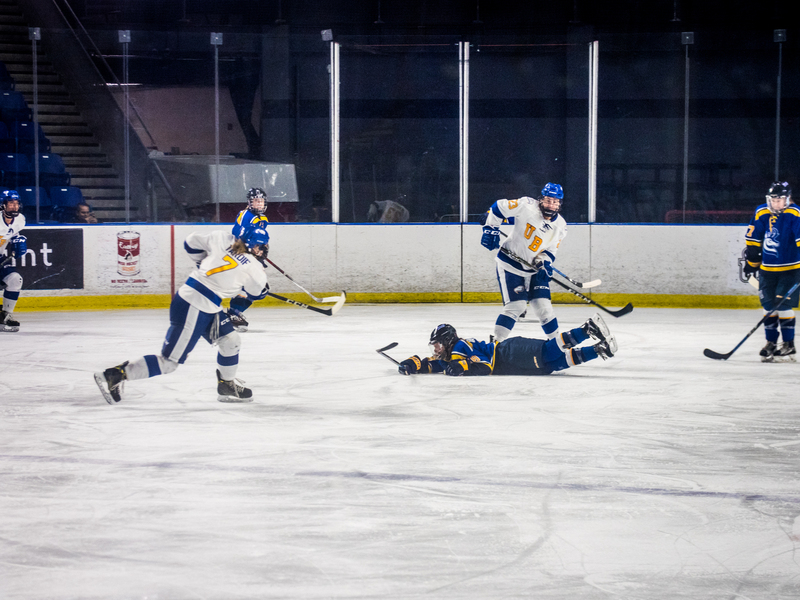 UBC’s Boyd would score her second of the game — redirecting a shot from the point, collecting her own rebound and burying the puck in the top corner of Anderson’s glove-side. The ’Birds would continue their strong play through the final frame and ultimately hold on to their tight 2-1 margin. Despite the opportunities for frustration throughout the night and with the score tied, the ’Birds remained focused and did not slow up. As the game wore on, they dug deeper and continued to battle. 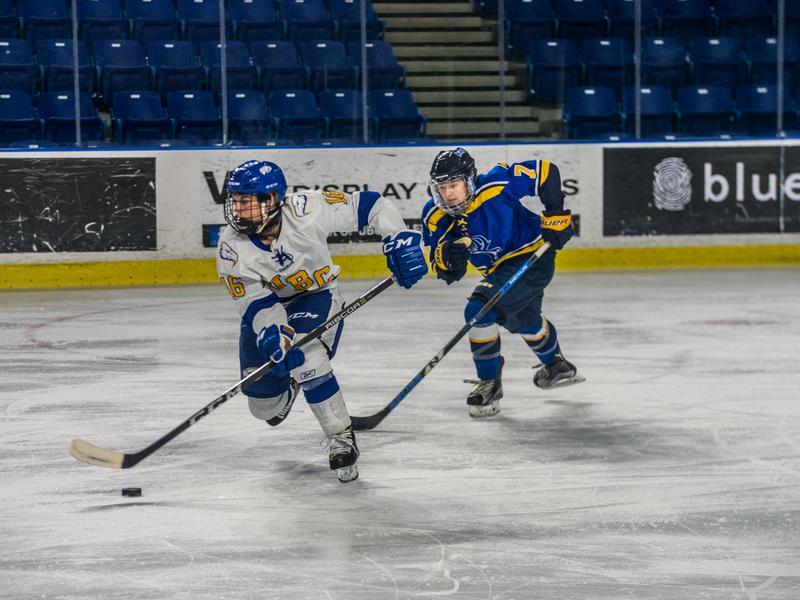 UBC would go on to sweep the weekend series, beating the Pronghorns by a close 1-0 on Saturday afternoon. The pair of victories over the weekend would give Coach Thomas his 99th and 100th career wins with the team. Following this weekend’s games, the ’Birds find themselves atop the Canada West standings as they head into a bye-week. They play host to the University of Saskatchewan Huskies in a double-header the following weekend, in hopes of holding onto the league’s top spot.